When iTunes 12 was released recently (for OS X Yosemite users and as an update for current iTunes users), Apple added a few improvements and some subtle changes that were definitely an improvement over iTunes 11.
iTunes was last updated in 2012, which saw a major overhaul compared with iTunes 10, but despite the updates, not everything it has been criticised for has actually been fixed in the latest version. 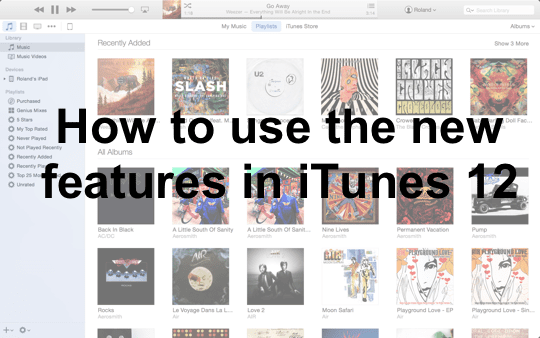 This guide briefly describes the new features of iTunes 12 and how to use them. 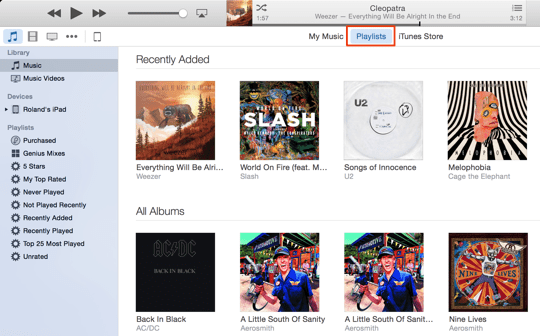 iTunes 12 adopts the design ethos and style of iOS 8 and OS X Yosemite – in other words it sticks to a “flatter” look that mostly does away with shading in favour of solid colours and simplicity. Just like every application in Yosemite, the window icons (maximise, minimise and close) have all been updated and function just like you’d expect, and iTunes 12 also adopts transparency to achieve an attractive layered effect just like most of the built-in apps. 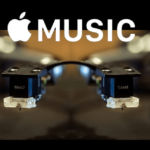 Initially, when you open iTunes, you will notice that the interface has been updated and tweaked, and there is also more of a focus on the iTunes store – this is no surprise because Apple wants you to buy content there. 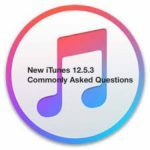 A new feature called Family Sharing is also included in iTunes 12 – but the feature must be setup on iOS and links to the iTunes accounts that you have specified. Family Sharing will be covered separately. iTunes 12 now does away with having the various categories in the sidebar – instead, the main menu (as shown below) includes icons like My Music, Films, TV Programmes and more. The overall look is much cleaner, and it also allows you to choose which icons are displayed. This is useful as it allows you to hide categories that you are not interested in. A row of icons now represents the main content types in iTunes 12. All the new content such as movies and music that you have recently added appears in the top section of iTunes 12, as shown below. This is a little more convenient, as it means all the new content you’ve purchased is always accessible in the main view. Of course, recently added items are still visible in the normal Playlists section. Find items you’ve purchased recently in the Recently Added section. Another great change is that your Playlists can now be viewed in the left side of iTunes, while viewing your content at the same time in the main window. This makes it very simple to organise and create playlists by dragging and dropping items onto them. Playlists, and Smart Playlists behave exactly the same as in iTunes 11 however. Playlists appear in the left panel. Just click Playlists in the main menu bar to view them. 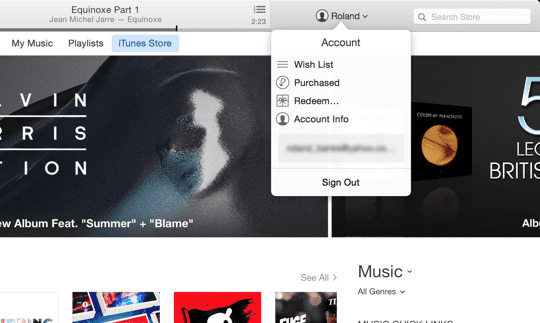 iTunes 12 shows your account information right up front near the search box. Click on your name (as shown below) to bring up links to your Wish List, Purchased content, or to redeem a gift card or view your iTunes account information. Get access to all your account information and wish lists quickly. When viewing any item (such as albums or movies), iTunes 12 now has updated action buttons that appear whenever your mouse hovers over a particular item. Click the more button (three dots) to reveal relevant actions – such as Play Next, Add to Up Next, and Start Genius. New icons complete the suite of changes to iTunes 12.
iTunes 12 shows all your iOS devices in the main menu bar to the right of the media icons, which makes it easy to see if your iPhone, iPod or iPad is connected. As normal, they have to be on the same Wi-Fi network before they appear in the menu. 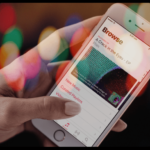 To see what’s on each device, just select the icon and then choose the particular device from the dropdown menu (if you have more than one) to see a summary and details of all your apps, music, films and other content. 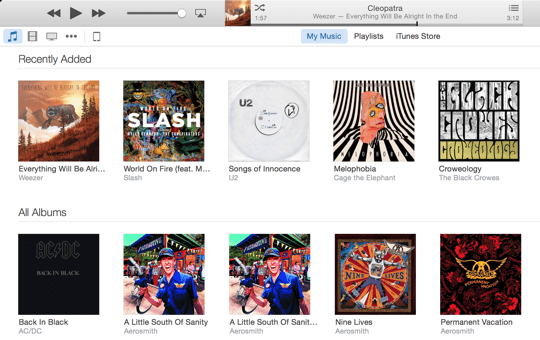 Synchronisation works exactly the same as it did in iTunes 11 – i.e. just choose the items you want to synchronise and hit the Sync button. Click the devices icon to view more details or synchronise and backup your iOS devices. 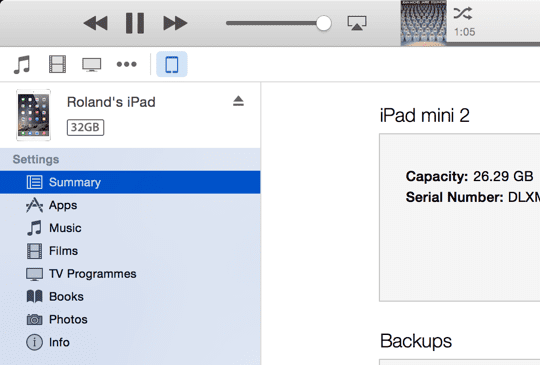 To learn more about backing up your iOS devices (such as how to choose between iTunes and iCloud), check out this earlier post. There are still quite a few features that didn’t make it into iTunes 12 – for example, at least for UK users, iTunes Radio is still not available (it has been present for US iTunes users for some time). 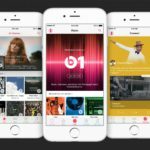 We’re likely to see some quite big changes in the next version of iTunes, following from Apple’s purchase of Beats Audio this year. 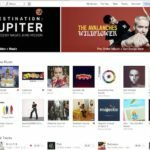 While iTunes improves on iTunes 11 in many ways (especially a slicker user interface, buttons and menus), there really aren’t that many new features. 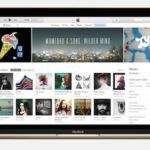 When iTunes 13 is released (presumably next year) we would expect a more major revamp with the addition of features such as subscription based streaming music, and hopefully some of the features that have been stripped out in the last few versions. To find out how to use iTunes to update your iOS devices please read our earlier article here. And if you are experiencing any problems, you might another related guide useful.